Want to go on a holiday? Love surfing? But confused about an ideal surfing holiday spot? Then you hit the right button as this article is going to guide you all about the best Dominican Republic surfing holiday spot. Well known for its beaches, resorts and golf clubs, the Dominican Republic is a Caribbean country that is situated on the island of Hispaniola. Dominican Republic surfing is surely a best holiday one can have. The Dominican Republic isn’t huge. But this country is novel and famous for surfing because it has a sufficiently expansive land that makes the winds change, offering a preferred and more reliable surf over most different zones in the Caribbean Basin. This tropical country is famous among surfers because one can surf here during the entire year. 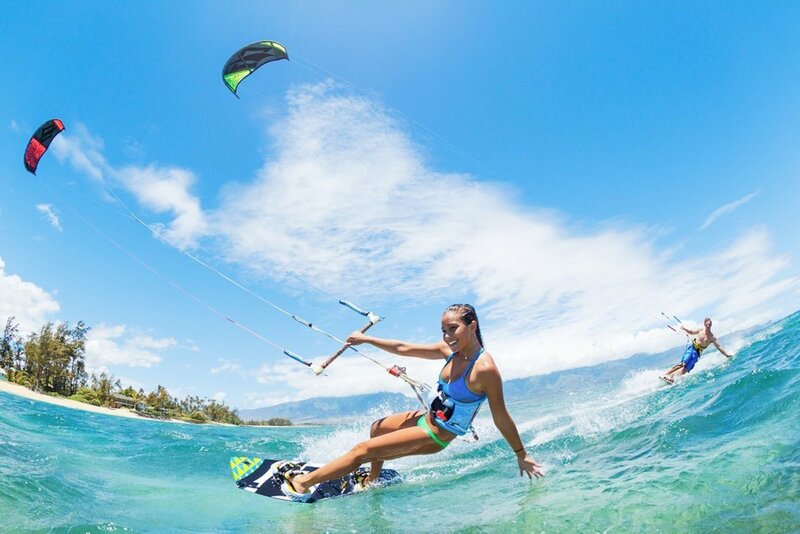 You can experience greater waves in the Cabarete region during winter. However, a huge wave season starts in October and lasts till April. The long stretches of time from May to August usually still have a ton of fun waves of high scale. However, this period is perfect for learning how to surf or for mid-level surfers. August and September can likewise be favourable months, because Atlantic hurricanes can spin off far north of the island and bring great conditions for surfing toward the North shoreline of the Hispaniola Island. The beaches located on the north Dominican coast are usually the best, known by surfers. However, many of those located on the south coast are gaining more and more both national and international followers. Punta Cana is one of the most popular destionations among surfers. For example, Macao beach located only 30 minuted drive to the north of Punta Cana is a wide beach with more than a kilometer of shallow coastline, completely surrounded by beautiful palm trees. The wonderful and fine white sands contribute to highlight the brilliant sea waves color, making the surfing experience really fascinating. The shoreline is ideal for novices and it is an awesome place to relax in a bar following a water filled day. Several schools located on that beach offer the opportunity to learn surfing. Considered one of the most beautiful and natural areas of the Dominican Republic, the Samana Peninsula, located on the northeast coast of the country, is a unique and ideal destination for lovers of nature and an active lifestyle. Among the numerous beaches that the peninsula presents for surfing, there is Playa Cosón. It is a still virgin beach located 10 minutes from the picturesque fishing village of Las Terrenas. It is a perfect beach for those intermediate level surfers who enjoy soft waves, in an atmosphere of great tranquility. El Valle beach, located between two mountains, and Playa Bonita, in Las Terrenas, are also recommended. They especially serve for beginner and intermediate surfers. The most risky surfers will find their opportunity for adrenaline on the beaches of Río San Juan. It is a municipality in the María Trinidad Sánchez province, on the north coast of the Dominican Republic. Playa Grande, which as its name indicates is one of the largest in the country, attracts numerous surfers from all over the world eager to “dominate” the great waves caused by the Atlantic Ocean. A few meters away there is La Preciosa. It is another beach visited by surfers in wave season. The beaches of El Barco and La Muela are also well known for its surfing capacity. Various surfing tournaments have been held on these beaches, which are becoming increasingly recognized. Many places to surf, few people. Due to the fact that one can surf in the Dominican Republic during the entire year and that there are many beaches to surf, you really can enjoy surfing alone. Surf in a bathing suit. The freedom that gives a bathing suit is unique, the feeling is in each movement, no matter how wet the suit is. Waves all year round. In winter the north coast, in summer the south coast, you just have to choose a beach to surf and come. Hot water. You can enjoy a hot water all year round, starting at 6 a.m. in the morning with the first rays of sunlight you can enter the water and see how great the temperature is. You can be always aware of the weather in Punta Cana, just click here. Kindness and friendliness of the local people. They are happy, cheerful and helpful. Marine life is not dangerous although it is very abundant. You can surf around sea turtles, stingrays, harmless sharks and even flamingos, it’s a paradise! Nature adventures for days without waves. Rivers, waterfalls, secluded beaches, mountains with spectacular views, excursions, you will not get bored! Thus, you can see that so different characteristics of the Dominican beaches guarantee that every surfer, regardless of their level of preparation, will enjoy the wave. Even those people who simply are curious to try to surf, can venture and take a first class at one of qualified Dominican Republic surfing schools, where they will find tailored suit and board, and experienced surfing trainers who will accompany them to embark on a great sea adventure. If you are an experienced surfer we would recommend you to visit the Dominican Surfing Federation website , where you can find much useful information, including news about the ongoing surfing championships.